This year, Mainstream Source with Tad at the helm as President of the corporation, launched the Legends Among Us documentary series, in association with the Foundation For Arts and Music Preservation, Inc., which chronicles the lives and careers of legendary artists in a feature-film format. Mainstream Source is also launching the “My Life Story” personal documentary program, which provides a service to chronicle the lives of everyone who wants to preserve their own life story. Mainstream Source was also granted a trademark by the United States government. The Mainstream Source production music catalog tripled in size with the addition of thousands of excellent production music tracks, as well as hundreds of sound-alike tracks for the DJ/Karaoke industry, now distributed on ITunes, Amazon Marketplace, CD Baby, Spotify, Rdio, Xbox Music and dozens of other outlets Worldwide. Last year, Mainstream Source released “The Barcelona Sessions” to 300 radio stations Worldwide, with never-before-heard original performances by Miles Davis’ bassist, Bill Evan’s drummer, Frank Sinatra’s saxophonist, Maynard Ferguson’s guitarist, and Andrae Crouch’ flutist/saxophonist, produced by Tad Sisler at the Mainstream Source studios. Tad Sisler composed the full score to “The Encore Of Tony Duran”, an indie feature film starring Elliott Gould, William Katt, Nicki Ziering and Cody Kasch, along with his co-composer Andrew Fraga, Jr. After having the distinction of being the first film to sell-out at the prestigious Palm Springs International Film Festival, the film won the Jury Award for Best Feature Film at the Las Vegas Film Festival and the Santa Fe Film Festival, as well as the Indie Spirit Award at the Fort Lauderdale Film Festival and the Audience Favorite Award at Tallgrass Film Festival, in conjunction with a Lifetime Achievement Award for Elliott Gould. The film is presently in the hands of Cinedigm and slated for worldwide distribution. Also, last year, Tad completed the music and audio editing for the TV Series “American M.C.”. The first 7 episodes are complete and in the process of distribution through GRB. Tad scored the Main Title theme to American M.C. as well as underscore and providing Music Supervision and source from Mainstream Source. Tad also composed all of the music and score for the upcoming indie feature film “Cowboy Dreams” (BARONE ENTERTAINMENT CANADA). Tad Sisler is a valuable member of the team of specialists and project developers for Yamaha Corporation of America, delivering hundreds of intricate projects to exact Yamaha specifications over the last 10 years. Tad received accolades in 2011 after being given the honor and challenge of doing the “official” remake of the iconic “Andy Griffith Theme” for the estate of the composer Earle Hagen as a perfect sound-alike. Following a stint of composing for a series on Fox and working as assistant to composer Jeff Edwards on “Silk Stalkings” and “Renegade” in the late 1990’s, Tad Sisler and Andrew Fraga, Jr. founded & co-developed the Mainstream Source production music catalog, containing thousands of high quality music tracks available for sync licenses in film, television and advertising in more than 150 genres. Under the careful direction of Tad Sisler, Mainstream Source continues to grow to include countless, unique performances by Grammy winners and legendary artists. 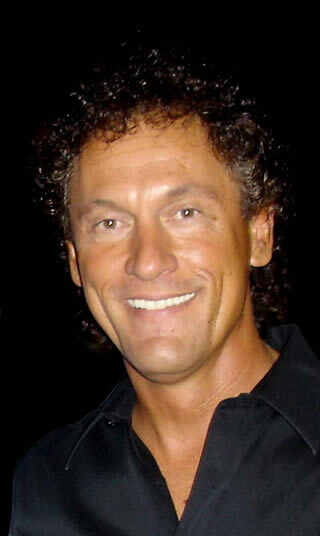 Most recently, Mainstream Source handled Music Supervision on “The Encore Of Tony Duran”, and on “American M.C.” & “Cowboy Dreams”, the “Legends Among Us” series, and placing music on NBC, ABC/Disney, Warner Brothers Television, TNT, US National Infomercial campaigns through Guthy/Renker and Script To Screen, and custom composing for the TV and advertising industry. For over a decade, Tad’s company Mainstream Source has become a valuable provider of production music in the industry, representing the works of hundreds of composers and publishers from more than 20 countries worldwide, as Mr. Sisler continues to expand and market the catalog with his team. Mainstream Source Pro Karaoke contains hundreds of top-quality soundalike tracks for DJ and Karaoke usages, currently on ITunes, Amazon Marketplace, Spotify, Rdio, XBoxMusic, and many other outlets. Prior to Tad’s experience founding and building Mainstream Source, he produced a series of live headliner events at multiple venues from the ground up, including sold-out performances by Kenny Rogers, Earth, Wind & Fire, Los Lobos, Glen Campbell, The Righteous Brothers, Lou Rawls, Tito Puente, the Power Jam featuring Timmy T, Tara Kemp, Candyman, Soul To Soul and more. As a very young man, Tad Sisler worked as a performer for Frank Sinatra, studied music in choreography under world-famous Broadway Dancer/Choreographer Jacque D’Amboise, received superior ratings in classical piano performance in tough Joanna Hodges international competitions, and received private acting lessons from Richard Burton, a friend of his family. Tad attended the prestigious Idyllwild School of Music and the Arts on vocal music scholarships during the period when it was affiliated with the University of Southern California. In High School, Tad was one of 100 statewide vocalists elected to the prestigious All-State Choir in Missouri. During his storied career, Tad has also had the honor of performing with and working among such greats as Gladys Knight, Rita Coolidge, B.B. King, Marilyn McCoo, Johnny Mathis, Kenny Rogers, Tito Puente, Sonny and Mary Bono, Gene Barry, Teri Cole Whittaker, Shecky Greene, Peter Marshall, Mary Hart, Blackwell, Herb Jeffries, Trini Lopez, Glen Campbell, Jennifer Hudson and other legends. Tad also co-founded the non-profit 501(c)3 Foundation For Arts and Music Preservation, Inc., which will raise money for much-needed student music programs throughout the United States as well as preserving the legacy of hundreds of artists through the aforementioned Legends Among Us series. Tad Sisler’s extensive experience, state of the art facility and history of delivering quality feature films and music on time and on budget, as well as the ability to draw from an extensive catalog of production music, allows his experienced team to offer complete services in custom production and composition efficiently. Tad is proud and humbled to be a voting member of the Academy of Recording Arts & Sciences, which allows him to have a voice to vote for great artists worthy of winning a Grammy Award. Gladys Knight (1993) Opening Act Valley Wide Artists & Events, Inc.